Planned Parenthood and the abortion-provider Tucson Women’s Center spearheaded a lawsuit to strike down an Arizona law requiring doctors to abide by FDA guidelines when administering a “drug or substance” used to induce abortion. An Arizona state court ruled in their favor, a ruling which allows doctors to continue off-label usage of the risky mifepristone (RU-486) drug. These are protocols that Planned Parenthood claims are considered “best practice,” but which the FDA has not approved. At the time of the ruling, the new Arizona law was not in effect. Late last year the Ninth Circuit Court of Appeals placed an injunction on the law, calling it “wholly unnecessary.” Since the U.S. Supreme Court refused to review the case, it was effectively in limbo until now. The Maricopa County Superior Court, which issued the ruling, claims that requiring doctors to administer chemical abortion drugs according to FDA guidelines is unconstitutional. The law was originally passed by the Arizona state legislature and signed into law by then-Governor Jan Brewer in 2012. It was designed to protect women by clamping down on inherently risky later-gestation-age chemical abortions. Moreover, the guidelines state that the patient must be provided with the information covered in the drug’s “medication guide” and must consent to the “patient agreement.” The drug must be administered in three 200mg tablets, to be taken orally. An office visit is required two days after administration to ensure fetal demise, and to administer a further dose of misoprostol if needed to ensure this. A third office visit is required two weeks after administration to make sure there are no health complications or fetal body parts remaining in utero. Planned Parenthood argued that it should be allowed to administer the abortion drug to mothers at nine weeks gestation, which is two full weeks later than the FDA regimen allows. It, in effect denies the obvious, namely, that the risks of chemical abortion to the mother are much greater at this later stage of pregnancy. Planned Parenthood also claims that the three doctor visits prescribed by the FDA are too many and make the procedure too expensive and inconvenient. They argue that administering smaller doses would save money for mothers, and therefore would make it easier for more women to obtain an abortion. They don’t mention that this would further increase Planned Parenthood’s client base and profits. These cost saving measures might generate more clients and income for Planned Parenthood, but they could negatively impact women’s health. Serious side-effects sometimes result from RU-486. To protect women, the FDA has determined that the abortion drug must only be administered in a medical facility and under physician supervision. The attending physician must be able to assess the baby’s gestational age, must be qualified to diagnose ectopic pregnancies, and must provide a way for the patient to have access to a facility where they can receive blood transfusions and surgical interventions should complications arise. A study published in the New England Journal of Medicine found significantly higher risks of complications with babies aborted at later gestational ages. Some 2% of the women who were less than 49 days gestation required either hospitalization, surgical intervention, or intravenous fluid. Of the 2,000 women surveyed, many experienced severe bleeding. Four women required blood transfusions, 25 required hospitalization, and 22 required IVs. Nine percent of the women were still hemorrhaging 30 days after the abortion and one percent reported that they were still hemorrhaging 60 days afterwards. Some 29% of the women were put on opiates for severe abdominal pain. Other side effects reported included viral infections (4%), vaginitis (4%), rigors (3%), fainting (2%) and, in 10 cases, endometriosis. Women women over 49 days gestation were twice as likely to require such interventions, and significantly more likely to have severe abdominal pain, severe vomiting and diarrhea. Vomiting was so severe for one mother that she had to be hospitalized as a result. It is worth noting that nearly half of all the women in this study had their chemical abortions with Planned Parenthood clinics. 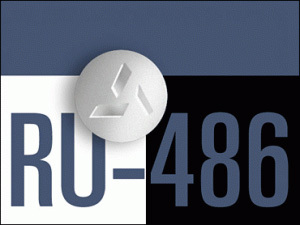 As of April 2011, the FDA had received over 2,000 reports of adverse events — including 14 deaths–associated with RU-486. Eight of the fourteen reported deaths were due to sepsis, all of which resulted from vaginal or buccal administration of misoprostol, methods which have not been approved by the FDA. Other serious complications reported to the FDA included hospitalization (612 cases excluding the 14 cases of death), severe blood loss requiring a blood transfusion (339 cases), ectopic pregnancy (58 cases) and infection (256 cases). Planned Parenthood’s unwillingness to abide by FDA guidelines for the abortion pill makes it clear that the organization cares little for the safety of the women who seek help from them. The organization is so eager to ensure the death of as many unborn children as it can that it regards the deaths of dozens of women as unavoidable collateral damage. Irving M. Spitz, C. Wayne Bardin, Lauri Benton, and Ann Robbins, “Early pregnancy termination with mifepristone and misoprostol in the United States,” The New England Journal of Medicine 338, no. 18 (1998): 1241-1247.